Its interesting how during the past decade that Los Angeles's reputation has plummeted into a big mix of negative stereotypes. 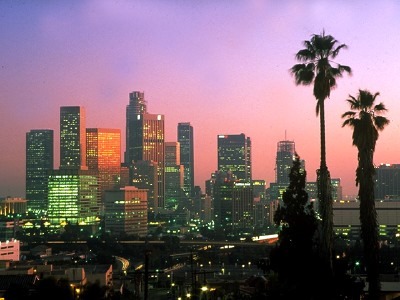 Its even more interesting how people can ignore all the great things that L.A. has to offer. Its not like San Francisco is the only great city in California. Ive made this website to show a lot of the great things that L.A. has to offer in a pictorial guide and to do justice to this severely underrated city. This website offers what probably is the LARGEST collection of the best and most illustrative pics of Los Angeles from the net. Please see as much of this website as you can, it took me over three months to develop. Explore the links to learn more about the variety and uniqueness of L.A. NOTE: One thing, these are SAMPLES of what L.A. has to offer, this website is in no way comprehensive. GREAT LINKS FOR LOS ANGELES!!! Please take this poll After you have seen at least a large portion of this website. Please pick the best match to your opinion and please do so HONESTLY. Thank you.